Obesity is a condition that puts one under excessive overweight. A person who is more than normal weight and with a lot of body fat is considered to be obese. One of the most used method to identify whether one is obese or not is measuring his/her body mass index or BMI. It works by measuring the ratio of a person’s height and weight. Obesity is linked with development of some of the most common diseases of modern society like diabetes ( risk increases by 93 fold in women and 42 fold in men). Risk of heart attacks and coronary artery disease increases by 86% in men if there is weight gain of 20% above normal, in obese women the risk is increase 3.6 fold. There is also higher risk of elevated blood pressure, cholesterol, higher incidence of gall bladder diseases and cancer ( colorectal cancer in males and endometrial, biliary passage cancer in women). Extreme obesity has been also associated with metabolic diseases and infertility, respiratory problems ,heart disease and eventual cardiac failure. It is not just a social stigma but also a disease process with major genetic and multifactorial components. Why should I go for medical obesity rehab? Obesity is interconnected with different medical problems either as a cause or associated health risk, hence constant monitoring is required. Aerobic exercise may decrease body fat ,attenuate the loss of lean muscle mass normally seen during dietary energy restriction and mediate the accumulation of visceral adipose tissue , which is associated with cardiovascular risk. Excess fat is stored as adipose tissue , with decrease in lean body mass with high basal metabolic rate(BMR), which cannot burn calories. Supervised weight loss service program enable individuals to lose adipose tissue and increase lean muscle mass which increases BMR and hence burn more calories to maintain achieved weight loss, in absence of any endocrine problems. Exercise treatments are designed to increase energy expenditure along with dietary interventions to enhance loss of fat mass and improve long term maintenance. Monitoring of heart rate for optimal effects of exercise, this does not create an overload on the heart and thus is important for obtaining the desired result. To achieve target training heart rates. The body gets energy from food, and this energy is stored in a chemical form (usually in fat cells) until needed. Oxygen is necessary to release this energy. The more oxygen a person breathes, the more potential energy is released from his or her cells. Cardio exercise increases the rate of breathing (part of the respiratory system), boosts the heart rate and opens up the blood vessels (both of which are part of the cardiovascular system) during exercise. This allows more oxygen to circulate throughout the body to tap into stored energy reserves. This is why cardio exercise is so important for weight loss. A team of Physician, Physical therapist, Patient educator and Dietician to give a medical supervision. The individual’s medical conditions and requirements will be counted and exercise is customized accordingly. A medical team who will conduct regular monitoring of pulse, telemetry, BMI etc. Importance is given to each individual and a maximum of four persons will be included per hour to give more attention to each of them. Heart rate and ECG pattern are monitored before the body gets used to exercise. 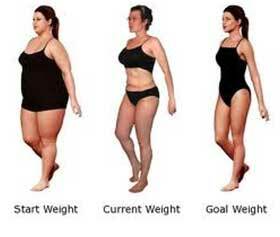 The main goal is to increase the exercise gradually and to assist the weight loss for 6 months or 1 year. In 1998, the National Institutes of Health (NIH) published guidelines for the identification, evaluation, and treatment of overweight and obesity in adults. Body mass index (BMI), expressed as a weight/height ratio (kg/m 2 ), is recommended to distinguish between overweight (BMI is between 25 and 29.9) and obesity (BMI greater than or equal to 30). Obesity is further subdivided into three categories based on increasing disease risk as described below. If the BMI is between 18.5 to 24.9, the person is considered to be having a normal weight. If the BMI is between 25-29.9, the person is considered to be overweight. If the calculated BMI is between 30-39.9, the person had become obese. If the BMI is 40 or above, the person is said to be severely obese. Apart from causing evident physical changes, obesity also causes serious other health issues like- stroke, coronary heart diseases, type2 diabetes, breast cancer, bowel cancer etc. Obesity even influences the quality of life by inculcating psychological issues such as depression and low self-esteem etc. The most common cause of obesity is the over consumption of calories. When a person consumes a high amount of sugary and fatty foods, it will be difficult to burn all of them with an average physical activity. The excess energy will be stored in the body as fat. There are various health issues that are associated with obesity. There are various methods to treat obesity, such as dietary changes, lifestyle changes, physical activities, medications, Bariatric surgery etc. All these methods have certain risks and complications related to it. The obesity rehab program is a safe method to wipe out obesity from the root. The medical obesity rehab program includes various exercises and methods like aerobics. There will be an instructor or trainer in the medigym studio. The instructor/trainer will have a constant monitoring. Through the specially designed exercise treatments, the fat mass can be reduced along with dietary interventions. For excellent results, heart rate will be monitored on a regular basis. It is vital in obtaining the best results.